Would you like to download the one year daily planner to help you follow the plan in my book “Low Carb Lifestyle & Weight Loss Made Simple” for FREE? Just click here , fill out the form and I’ll email the planner to you at no charge. Its a perpetual calendar so even if you’re starting in September, you will still have a full year of the planner to work with. You can also purchase a spiral bound, printed copy of the daily planner at this link: Lulu.com. If you would like to get a paperback copy of the book “Low Carb Lifestyle & Weight Loss Made Simple” you can find it at this link on Amazon. We had amazing results in the Food Comes First weight loss Facebook group, which is my coaching program to provide support and accountability for following the plan in the book. If you would like to know more about it please reach out to me or visit the information group and request to join. We’ve been told by the fitness media and from some fitness professionals for many years now that we need to eat 5 or 6 times a day to keep our metabolisms up and to help us stay lean. This advice fueled the creation and marketing of an endless amount of “healthy” snack foods, breakfast bars, protein bars and meal replacement snacks and drinks. In my opinion it has also led to many people not losing the weight they had intended to, or even gaining weight, when they started eating this way. The truth is, our metabolism isn’t so fragile that it would drop if we went several hours without eating or waited until we’re actually hungry to eat. The 5-6 meals a day strategy could be helpful for a fitness competitor who is working out 10-15 hours a week or a college or competitive athlete who is training 20-30 hours a week and trying to recover a lot of intense exercise and activity, however most of us don’t have that type of schedule. Most of us have daily schedules that don’t require much if any intense activity at all and might get 4-5 hours of exercise a week. We have very different energy needs than a competitive athlete and therefore we should be eating differently. When we eat, we release insulin to remove the fuel in our bloodstream to be stored in muscles and/or fat cells. During this time we have plenty of available fuel so our bodies don’t need to release stored fat for energy. Only when blood sugar and insulin are low do we release fat for fuel. Eating every 2-3 hours actually inhibits the release of stored fat because there is so little time that you would need it. So don’t be afraid of forgetting to eat or feel like you have to eat so often that you never feel hunger. A little hunger isn’t bad and is actually a sign that your body needs to release fat for fuel. And when you do finally eat, your food will taste so much better than if you had scarfed down a protein bar 2 hours before. 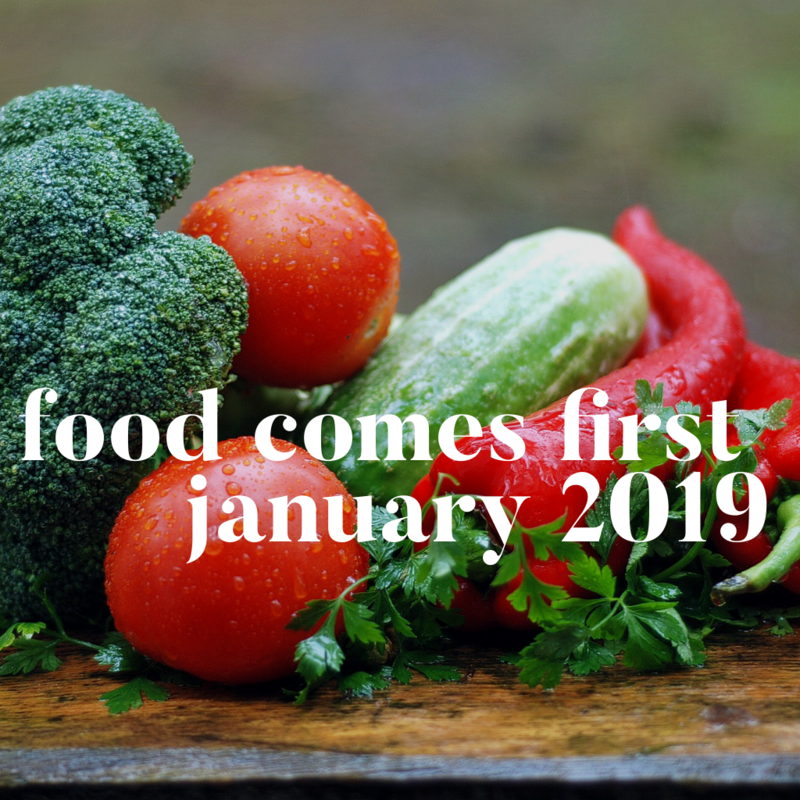 My Food Comes First weight loss group starts Saturday, January 5th and there is still time to join us. The private Facebook group will follow the plan and use the daily planner in my book, “Low Carb Lifestyle & Weight Loss made simple. It will be 30 days of changing habits and creating accountability in a supportive group coaching environment. The planner allows you to check off your food and activity choices for each day, helping you to track your progress. If you can check a box, you can follow this plan. The plan and the planner pages for the 30 days are available in the files within the group and I will be providing coaching and answering questions on a daily basis. The cost of the 30 day group is $47. 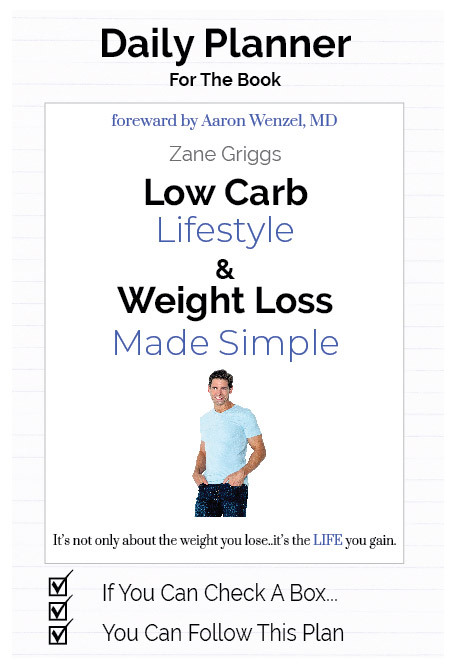 If you would like more information about the weight loss group, please send an email to zane@zanegriggs.com. Or you can sign up here: Food Comes First Weight Loss Group. Do you have a few friends who would like to join you? Refer 3 friends who sign up for the group and once they have paid, I will refund your fee back to you. Again, please let me know if you have any questions. For many people, the weekend indulgences can undo their weight loss progress and success from the week. Two steps forward and one step back. This becomes very discouraging on Monday morning. The lack of routine and the added social aspect of the weekend is a big temptation to indulge and go WAY off of our eating plan making it very difficult to get any real progress. My advice is to limit the hours in the weekend when you will be going “off plan” and create a part of the weekend days to allow your body to burn fat and drop some water weight. Usually, the most tempting time of the weekends is the late afternoon or evening when having dinner or going out so put your mornings and early afternoons to work for you. Eat low carb all day starting with eggs for breakfast but skipping the starch and fruit and having some protein with a salad or steamed veggies for lunch. You could even try some intermittent fasting, skipping breakfast, and not start eating until midday, keeping to the low carb options. This will better allow your body to burn fat all day and drop some of the water weight you may have picked up from eating carbs and salty food the night before. This also limits the time you have to indulge in “off plan” eating to just the evenings, providing some damage control. Of course, the ideal plan would be to stick to your eating plan all weekend except for one cheat meal, not day, but every weekend won’t be perfect. By the way, alcohol will have less of a fat storage effect if you’re not eating carbs while your drinking.